Prominent & Leading Manufacturer from Rajkot, we offer straw briquette machine. Owing to perfection and quality oriented approach, we have carved niche in the industry by offering an enormous grade array of Straw Briquette Machine. To ensure quality, these machines are rigorously tested on diverse parameters. 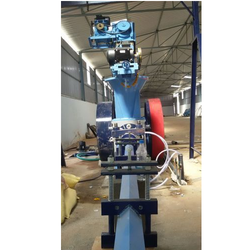 This machine is widely used in different places ranging from home to commercial sector. Clients can avail these machines from us in several specifications as per their needs at market leading prices.